The Command Staff of the C.W. Parks Battalion and Training Ship Pampanito is proud to serve and develop Americas youth. Joined the unit in 2016 and was appointed the Commanding Officer in 2017. He has one son in the program and recently retired as a Captain with the California Highway Patrol after 29 plus years serving in a variety of assignments. He served eight years as a US Marine Corps Sergeant and 2 years as Petty Officer 2nd Class in the US Coast Guard reserve. LTJG Boyce holds a Bachelor of Science degree in Management, a Masters of Science degree in Criminal Justice and is a graduate of the California POST Command College. He is a prior Sea Cadet attaining the rank of Petty Officer 2ndClass. Joined the unit in 2015, and has two sons in the program, he is currently a police officer of 20 + years, where he has served as a Motorcycle officer, SWAT officer and Detective. 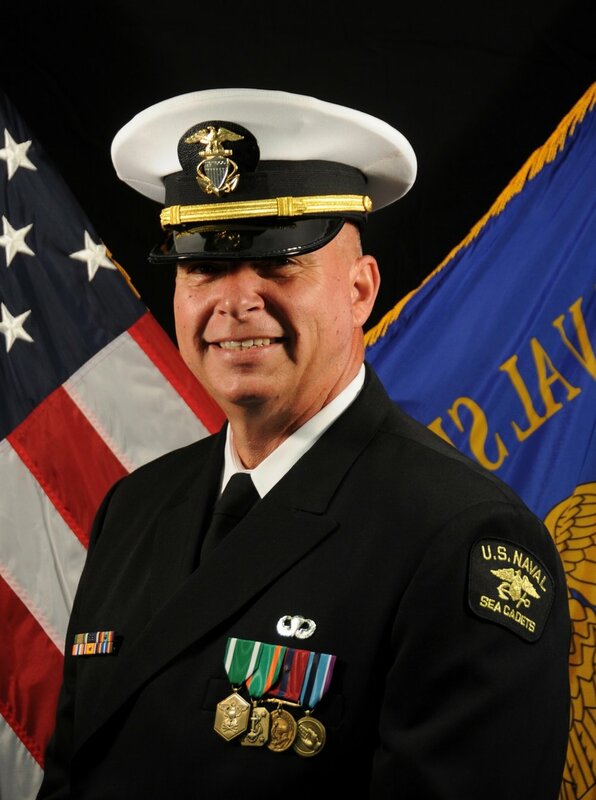 Mr. Cameron serves on the Board of Directors of the California Association of Accident Reconstruction Specialists, served 10 years as a US Navy Hospital Corpsman, and is a former Sea Cadet of 5 years, who was chosen as one of the first Cadet Chiefs in the nation in 1985. Joined the unit in 2015, and has two sons in the program. Mr. Kruger is a Regional Sales Manager in the Wholesale Building Supply Industry. Karl served honorably as an Aerographers Mate 2nd Class Petty Officer in the US Navy, and is a former Sea Cadet of 5 years. Mr. Kruger met his life long friend, David Cameron when they both joined the Sea Cadets in 1980. As Karl’s son’s have followed in his footsteps joining the program, it was only natural for Karl to have a chance to volunteer as an Instructor to help positively influence and support a fantastic program. Shannon Cameron joined the unit in 2016 to assist with administrative duties after her two sons joined the unit. ENS Cameron was awarded the Judge R.T.S. Colby Award for Excellence in Training by the USNSCC in 2017. ENS Cameron has worked to improve the units financial and administrative logistics and assisted in earning high scores that helped propel our combined units to second in the country. In addition to her commitment to the Sea Cadets, Shannon works full time running a small animal veterinary hospital in Brentwood. Joined the unit in 2017, currently a health care analyst for Conduent. IS2 Ryden is currently serving his third year in the US Naval Reserve as an Intelligence Specialist. IS2 Ryden has a bachelors in history and has completed Intelligence “A” and “C” schools. Joined the unit in 2018, and has a son in the program. Instructor Rogers is a co-owner of an advanced network consulting firm http://HexaBuild.io and also is our unit’s CyberPatriot Coach. INST Rogers is a former Sea Cadet of 4 years and was in the Color Guard of the same Sea Cadet Squadron with ENS Cameron and ENS Kruger from 1979-1983. Joined the unit in 2018 and has 1 son in the unit. Mr. Johnson served in the United States Marine Corps, and his currently employed as an Engineer.